We are pleased to inform that Kenya will be hosting the first ever Global Conference on Sustainable Blue Economy from 26th to 28th November 2018 at the Kenyatta International Convention Centre in Nairobi. The main theme of the conference is "Blue Economy and the 2030 Agenda for Sustainable Development". The Conference aims at discussing the productive and sustainability pillars of the seas, oceans, lakes and rivers as a contribution towards achievement of the 2030 Agenda and the Sustainable Development Goals. Approximately 4,000 participants are expected, drawn from members states, the United Nations, international, intergovernmental, non-governmental, multilateral and regional organisations, researchers, academia, the Diaspora, civil society, business and private sector among others. The conference is expected to result in a summary of key strategies for promoting sustainable partnerships and projects for accelerating economic growth, job creation, poverty eradication as well as controlling pollution, combating climate change and ensuring good governance of water bodies. The organisers of the Conference recognise that the Diaspora has a crucial role to play in unleashing the huge potential of this sector for socio-economic transformation. It is in this regard that the Interim National Diaspora Council of Kenya (NADICOK) in collaboration with the Diaspora and Consular Affairs Directorate in the Ministry of Foreign Affairs, the University of Nairobi and the United States International University-Africa will organise a side event on the "Contribution of Global Diaspora to Sustainable Blue Economy for National Development and International Solidarity on 26th November, 2018" at the University of Nairobi. The events output will be a Diaspora Blue Economy Plan of Action that could be considered for adoption by Diaspora stakeholders to enhance the role of the Diaspora for national development and global solidarity. All confirmations and correspondences on the event can be channeled through: diaspora(at)blueeconomyconference.go.ke. For the Diaspora Event Concept Note, the program and the link for the Sustainable Blue Economy Conference, please click here. 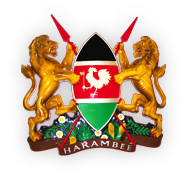 The Ministry of Foreign Affairs of the Rebublic of Kenya in conjunction with the International Organisation for Migration has developed a digital booklet on Remittances and Investment. The booklet systematically identifies, explains and collates a cross section of affordable remmitance channels, as well as remittance savings and investment opportunities in an informative and user-friendly manner. The beneficiaries of the intervention are Kenyans in the Diaspora, their relatives/friends in Kenya and the national economy. Kindly click on this link to access the booklet.